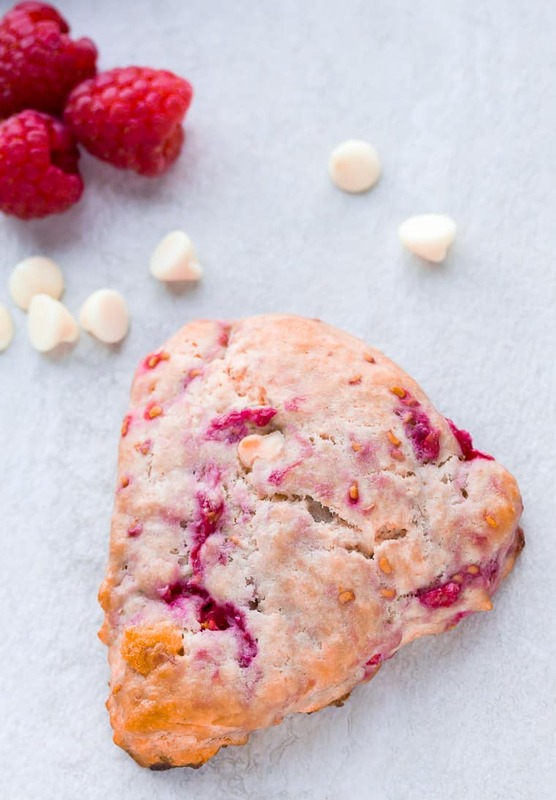 These White Chocolate Raspberry Scones are bursting with sweet white chocolate and tart raspberry flavors in every bite. They are the perfect way to start the morning! I grew up in a home where from-scratch treats were a regular occurrence. One of my favorite memories is when my dad would randomly make Chocolate Chip Cookies. It didn’t have to be a holiday, birthday, or special event. He would just make them whenever the mood hit him. It was always a much welcomed surprise for my brother and I, and most definitely helped develop my sweet tooth. As I’ve grown, have kids of my own, and am a crazy cooking and baking machine, I’ve expanded my tastes a bit. While I still love all the chocolate, I’m also really learning to love sweets using fruits. When you can call it breakfast, like with scones or Blueberry Muffins, even better. 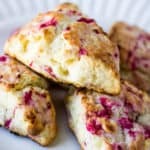 With spring just around the corner, I decided to make an easy scone recipe that would be mouth-watering delicious and perfect for the season and events like Easter brunch! 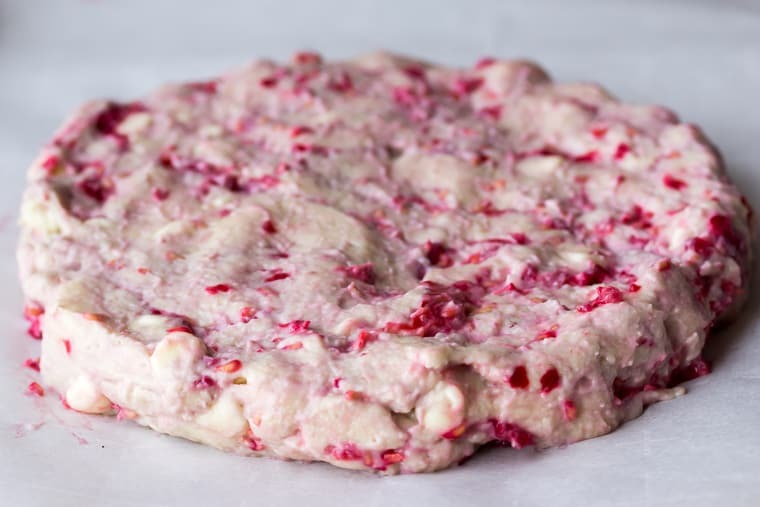 Raspberries and white chocolate seemed like the perfect choices for this recipe. 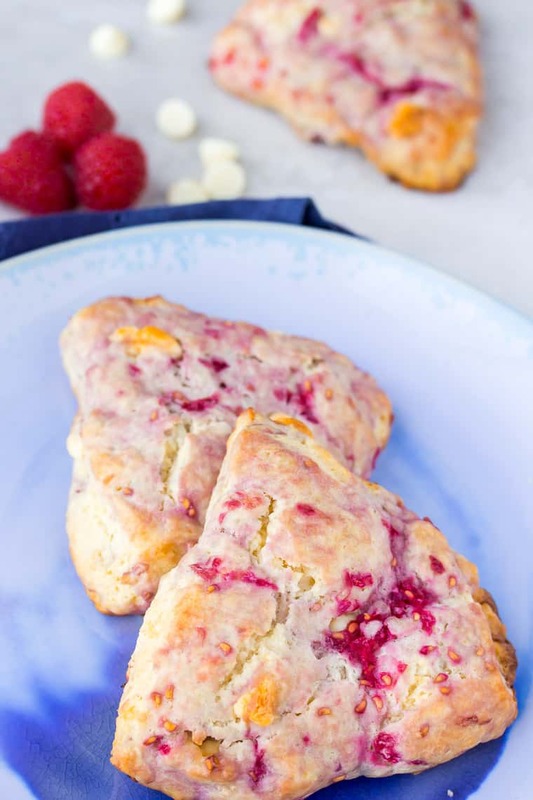 Every bite of these scones is a mix of buttery dough, sweet white chocolate, and tart raspberries. This is a great recipe for breakfast with a cup of coffee or tea, or enjoy them as a snack later in the day. You can serve scones warm or at room temperature. Preheat your oven to 425°F and have all of your ingredients out and ready to go. 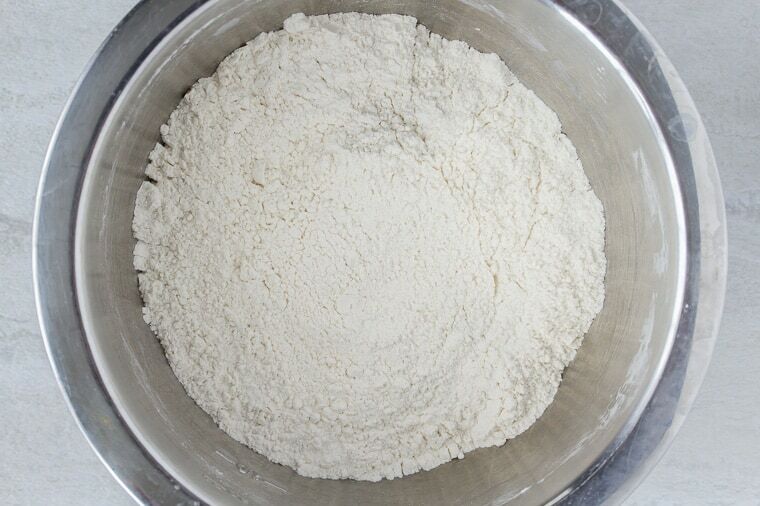 Combine the flour, sugar, baking powder, and salt in a large bowl and mix to combine. 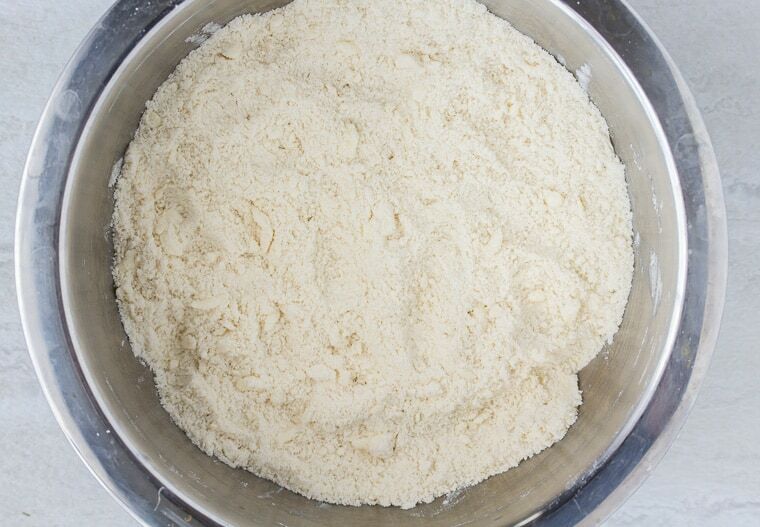 Cut in the butter using a pastry blender or fork until it resembles coarse crumbs. Tip: make sure the butter is very cold for the best results. In a small bowl, whisk together the egg and 1/2 C of the heavy cream. Mix into the flour, adding extra heavy cream as needed (I used a cup total) to get the dough to just stick together. Add the white chocolate chips and raspberries and combine. I find it easiest to get a little messy and just use my hands. The raspberries will break apart, but that’s okay! Divide the dough in half and shape it into two round circles, about 1/2 to 3/4-inches high. Cut into 6 triangles. 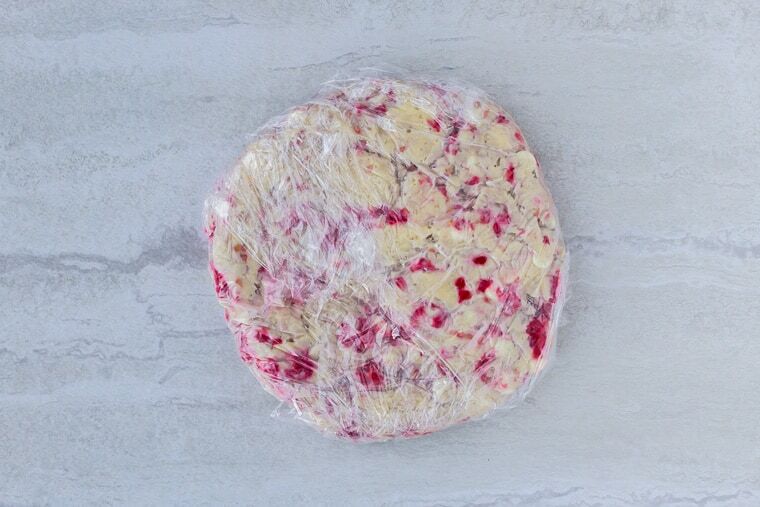 Tip: this is the point where if you want to freeze the scones dough, you can. Either wrap the disc whole tightly in plastic wrap, or cut the dough into triangles and wrap tightly with plastic wrap. Bake within a month for best results. If baking from frozen, you will need to add a few minutes to the bake time. Place on a baking sheet lined with a Silpat Mat if you have one, or parchment paper. Bake for 10-12 minutes until just lightly browned on top. These scones look pretty all on their own, but even more special when set out on a colorful serving tray at brunch! Make sure the butter is very cold for the best results. Store extra scones in an air-tight container and use within 1-2 days for best results. Can scones be made ahead of time? You can make scones the night before. Shape the dough into rounds, then refrigerate until morning, or when needed. Can you freeze scones? Yes. 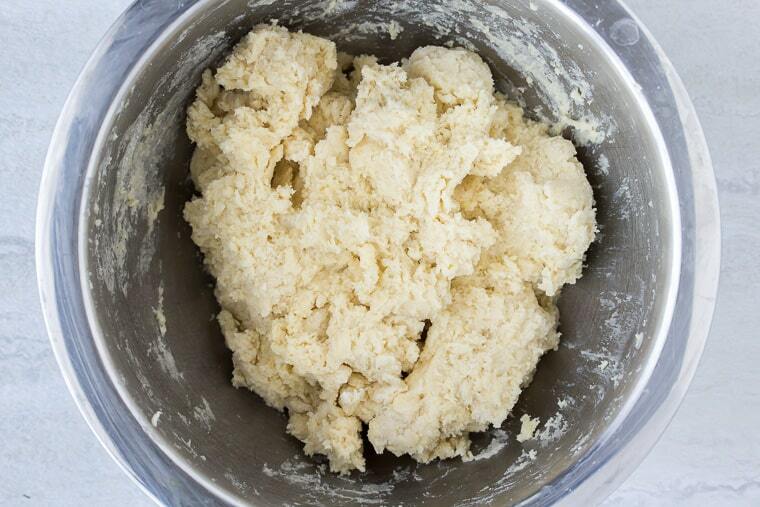 Shape and cut the scones dough, if desired. Wrap them individually tightly in plastic wrap and store in the freezer. To bake, you may need to add a few minutes to the bake time of the recipe. Use any frozen scones within a month for best results. 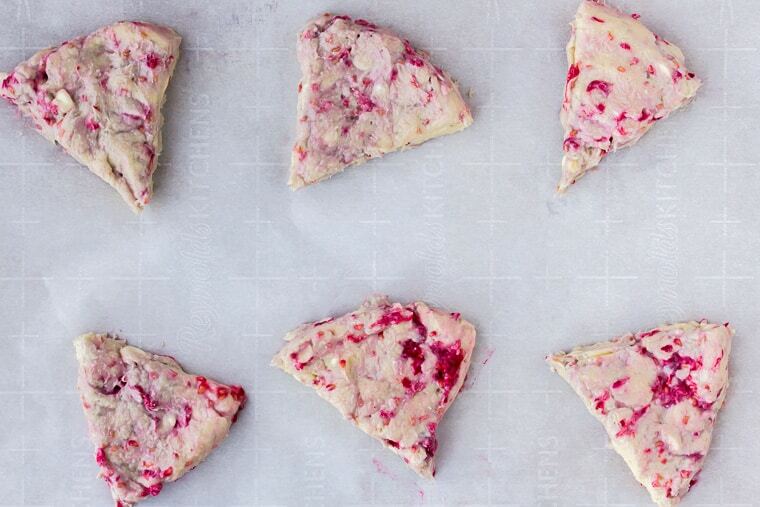 Love this White Chocolate Raspberry Scones recipe? Follow us on Pinterest, Instagram, and Facebook for more! 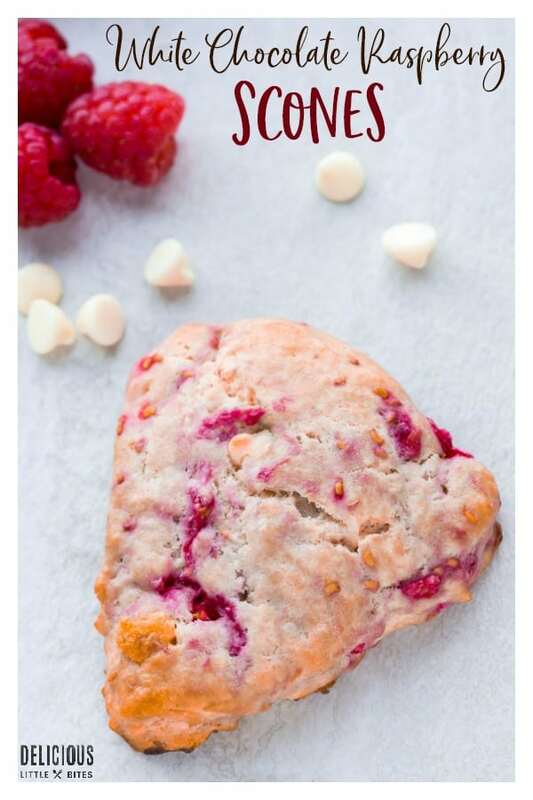 These White Chocolate Raspberry Scones are bursting with sweet white chocolate and tart raspberry flavors in every bite! In a small bowl, whisk together the egg and 1/2 cup of the heavy cream. Mix the egg and cream into the flour, adding extra heavy cream as needed (I used a cup total) to get the dough to just stick together. 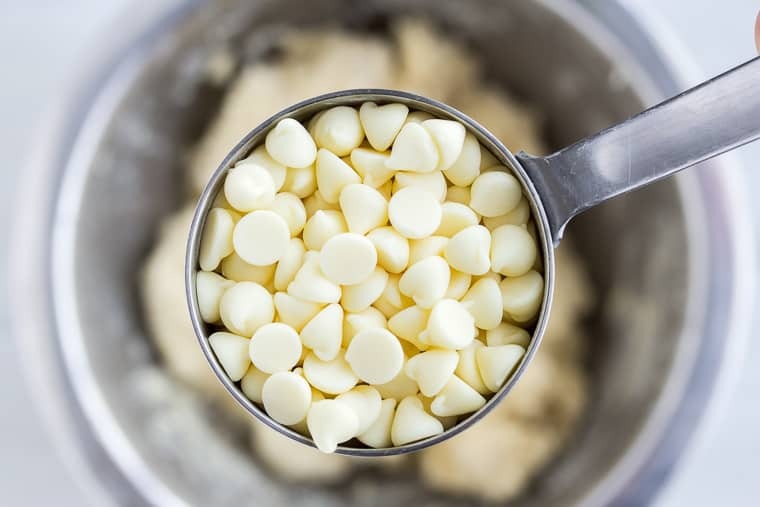 Add the white chocolate chips and raspberries and combine. I find it easiest to use my hands. 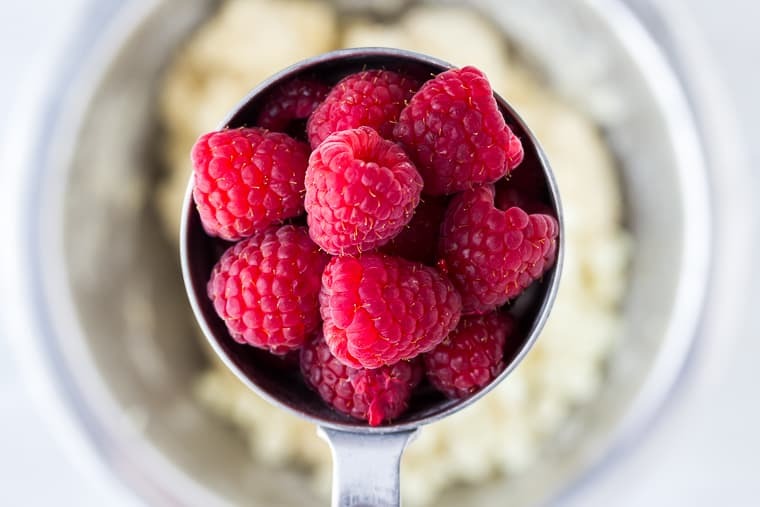 The raspberries will break apart - that’s okay! Shape the dough into two round circles, about 1/2 to 3/4-high. Cut into 6 triangles. Place on a baking sheet lined with a Silpat Mat if you have one. Can you freeze scones? Yes. Shape and cut the scones dough, if desired. Wrap them tightly in plastic wrap and store in the freezer. To bake, you may need to add a few minutes to the bake time of the recipe. Use any frozen scones within a month for best results. This recipe was originally published on March 7, 2018. It was updated with new images, tips, techniques, and FAQ’s in April 2019.